South Dakota’s game wardens work for the state’s Game, Fish and Parks Agency and are known as conservation officers. South Dakota is home to an array of protected wild lands, ranging from the Black Hills National Forest to the Missouri River and its tributaries. The state’s diversity of wildlife and game results in both sport and sustenance hunting being a way of life throughout South Dakota. Conservation officers enforce all wildlife and fishing laws in force throughout their jurisdiction. In addition to their law enforcement activities, South Dakota’s conservation officers also collect wildlife census data and make presentations to the public on the value of conservation. Therefore, conservation officers in South Dakota must not only be trained in law enforcement, they also often have a background in ecology and conservation. Many South Dakota residents rise to this challenge, and the number of applications always far exceeds the number of available positions. Applicants who have a thorough understanding of the requirements and selection process have the best shot at success. The best candidates for conservation officer positions in South Dakota combine physical aptitude, a love for the outdoors, and some experience in law enforcement. For the best shot at landing one of these positions, applicants should be expected to encounter fierce competition. With such stiff competition, applicants who can effectively demonstrate law enforcement skills and some knowledge of the natural resource conservation issues the state faces are more likely to be considered. Residents who are interested in becoming a conservation officer can find job postings on the website of the South Dakota Game, Fish and Parks Agency. 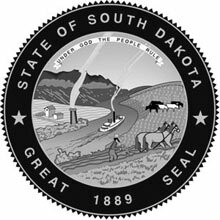 License: A valid South Dakota-issued driver’s license is required. Individuals must agree to participate in driver training programs through the state as they arise. Academic Credentials: A bachelor’s degree in a field like Wildlife and Fisheries Science, Zoology, or Biology is advantageous. Hearing: Candidates should have a ‘normal’ range of hearing and may be subject to a hearing test to confirm this data. Vision: Vision corrected to 20/20 in each eye. Normal color vision with no other conditions is required for the role. Applicants who have engaged in vision correction surgery may need to speak further with the hiring officer. Physical Readiness: The applicant must be in sound physical condition and able to swim. Applicants must successfully complete each component of the physical readiness testing. Psychological Condition: Applicants will participate in a psychological assessment to determine their suitability for hire. Ability to engage in mechanical work. The South Dakota Department of Labor and Regulation reported that conservation officers in the state earned an average salary of $40,310 ($19.38/hour) in 2016. Officers earning within the top 25%, typical the more experienced members of the team, earned $46,550 ($22.38) on average, while those newer to the field earning within the bottom 25th percentile made an average of $34,445 ($16.56/hour) that year.